Pressurized carbon dioxide is pumped into a chamber containing herbs and other plant matter. Carbon dioxide becomes supercritical when pressure is subjected on it. When it remains in a gas form it continues to have liquid properties. It is due to these properties that carbon dioxide functions as a solvent, extracts the oil, resin, pigment and other substances from the plant matter. Instead of steam or heated water, carbon dioxide is utilized as a solvent in the supercritical CO2 extraction method. In the steam distillation or traditional distillation method, 140 to 212 degrees F temperature is involved as compared to 95 to 100 degrees F in the supercritical extraction process. Aromatherapy has become popular since a few years and the steam distillation method was commonly used for extracting essential oils. During that time, carbon dioxide extract availability was poor. Even if oil is produced in varying qualities in the steam distillation method, the supercritical extraction process is considered far more superior due to the high quality oil it produces. The number of constituents contained in the superior oil is more as compared to oil produced by traditional methods. 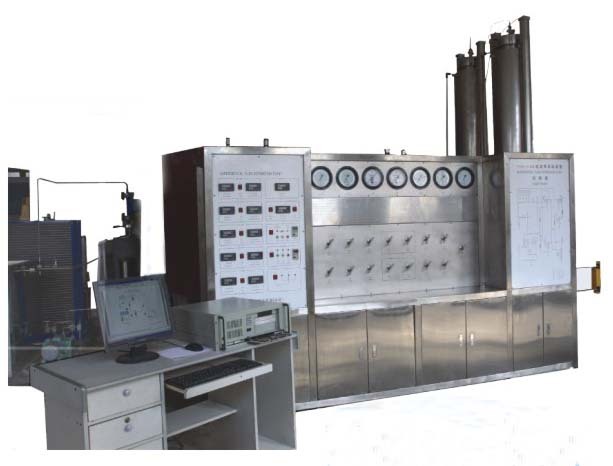 A carbon dioxide method is used to extract oil in the CO2 supercritical extraction method. Carbon dioxide is pressurized up to a level after which it turns into liquid. On the natural plant matter, the carbon dioxide then acts as a solvent. The essential oil content then gets dissolved into the carbon dioxide in liquefied form. Later the carbon dioxide is brought back again to natural pressurization. After evaporation it gets converted into gaseous state resulting in essential extracted oil. Because harmful solvents are absent in the final product. CO2 supercritical extracts are superior to essential oils as constituents in the oil do not get damaged by heat. Again as compared to essential oil counterparts, CO2 extracts are generally thicker. Aroma of the extract is almost similar or more rounded to the natural herb’s aroma. This aroma comes naturally from the additional constituents present in the extract. Oil extract obtained from the plants is completely pure! Traditionally Hydro distillation or steam distillation processes have been used to derive essential oils. Also a range of chemical solvents including ethanol, heptanes or hexane were used. However the supercritical CO2 extraction method proves to be more beneficial than the traditional processes of distillation.